Although the temperature recently has dropped to about 40 degrees, the Spartans’ determination to go far in the NCAA Championship tournament remains ablazing. Donning their long sleeves, the Case Western Reserve University men’s soccer team defeated Keystone College 3-1 in the first round and then defeated Capital University 3-0 for the clean sheet in the second round. Both games were played at DiSanto Field. Keystone’s offense was aggressive at the start of the game, scoring the first goal of the game off a deflection from a corner kick. The Spartans pushed back, taking possession of the ball most of the remaining period, outshooting Keystone 10-3. After regrouping from the first period, the Spartans wasted no time continuing the attack. Third-year forward Zachary Senft stepped between two defenders and took a shot on the left side of the goalbox. 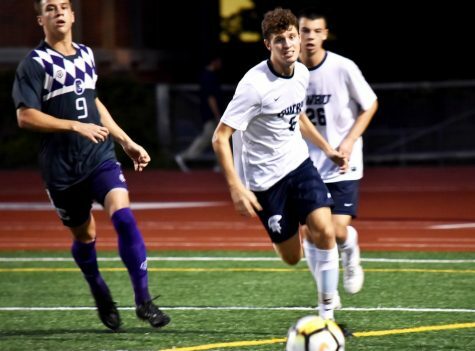 The keeper blocked the shot but was unable to catch the ball, which deflected downwards right to fourth-year forward Alex Besl, who immediately drilled it into the top left corner of the goal to tie the game and score the Spartans’ first goal. 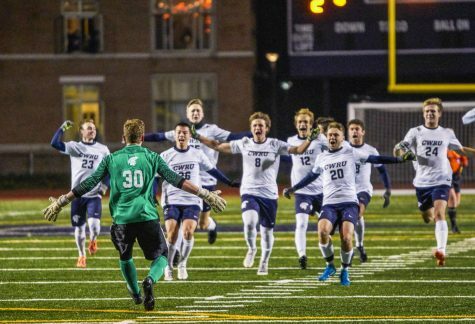 CWRU took the momentum to create many scoring opportunities, with both Senft and Besl taking shots, but failing to score. 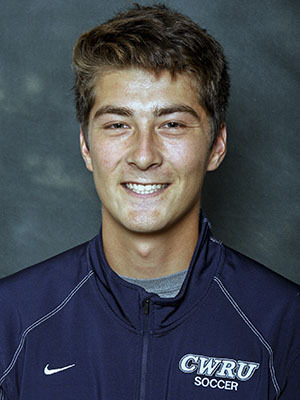 The team found second-year defender Nathan Ekberg twice on headers, but both shots went wide. It was not until the 79th minute when the Spartans took the lead off a shot by Senft. 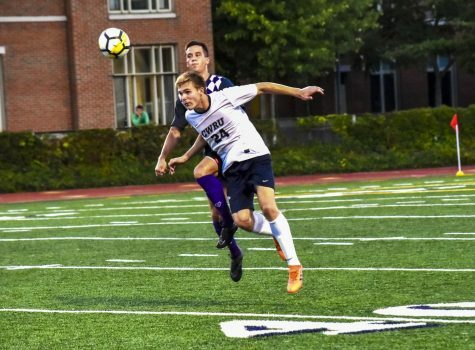 The team found third-year midfielder Marques Manta at the top of the goalbox, who sent a pass ahead of the defenders to third-year midfielder Garrett Winter, who scrambled and managed to pass it to Senft for the goal. During the last minute of the game, Senft sealed the game with a free kick that bounced off the middle of the crossbar and in the goal. Against Capital University, the first period ended scoreless as teams traded shots. 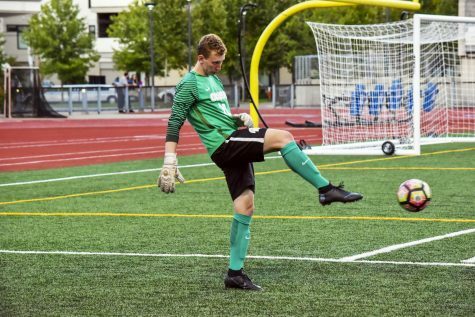 First-year goalkeeper Charlie Fink put on a strong defense, saving three goals in the span of six minutes. Fink ended the game with six saves and a clean sheet. Both teams set up corner kick situations and failed to score. The Spartans again came out strong in the second half, with Senft and Besl taking a shot each to begin the second period. 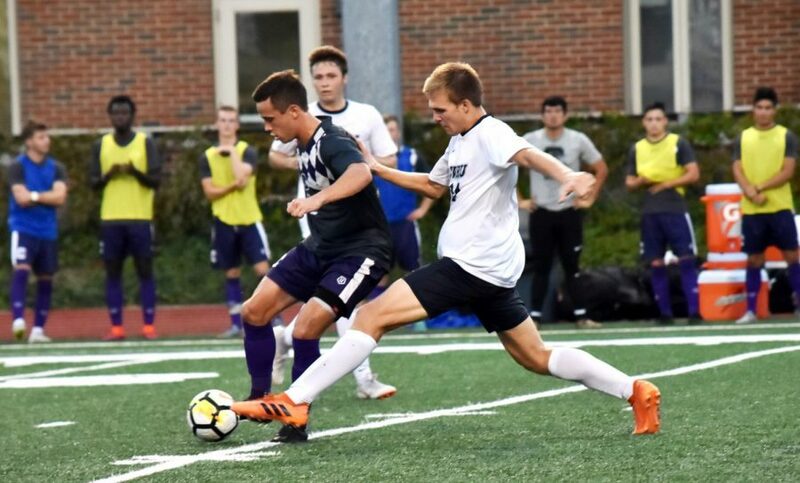 At the 51st minute, second-year midfielder Connor Weber found a trailing Winter, who put the ball in the back of the net. Right after kickoff, Winter again found himself with the ball in the middle of the 20 yard line and waited for Senft to slide down the left lane for the shot, scoring the second goal of the game. Feeling the pressure, Capital tried counterattacking, but Fink saved a shot while the team blocked another from a corner. 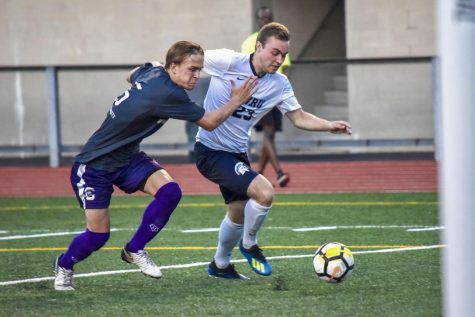 It was not until the 72nd minute that the team found first-year midfielder Peter Dernelle trailing wide open at the middle of the 20 yard line. Dernelle stopped the ball right at the top of the goalbox, throwing his defender off and allowing the space to shoot the ball with his left foot into to goal. The keeper dropped to the ground out of frustration. The No. 19 Spartans will play host to the sectional round of the NCAA tournament and face off against No. 10 Kenyon College on Friday, Nov. 16 at 5 p.m. The winner of the match will play the winner of the match between No. 4 Calvin College and Penn State Behrend. The team that wins both matches will advance to the national semifinals in Greensboro, North Carolina on Nov. 30.